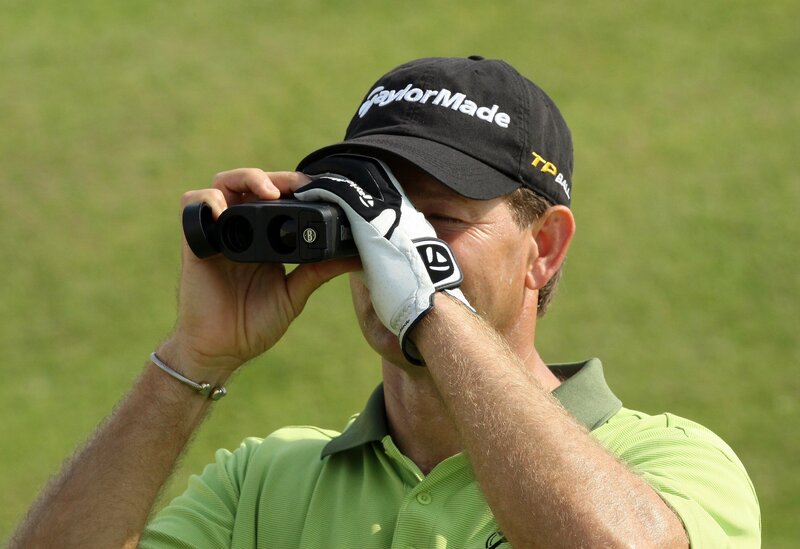 Some rangefinders are designed with hunting in mind while others are more suited to the sedate pace of the golf course. There’s no prizes for guessing where the Bushnell Tour V3 Jolt Standard Edition Golf Laser Rangefinder lies in this spectrum as the clue is right there in the name. 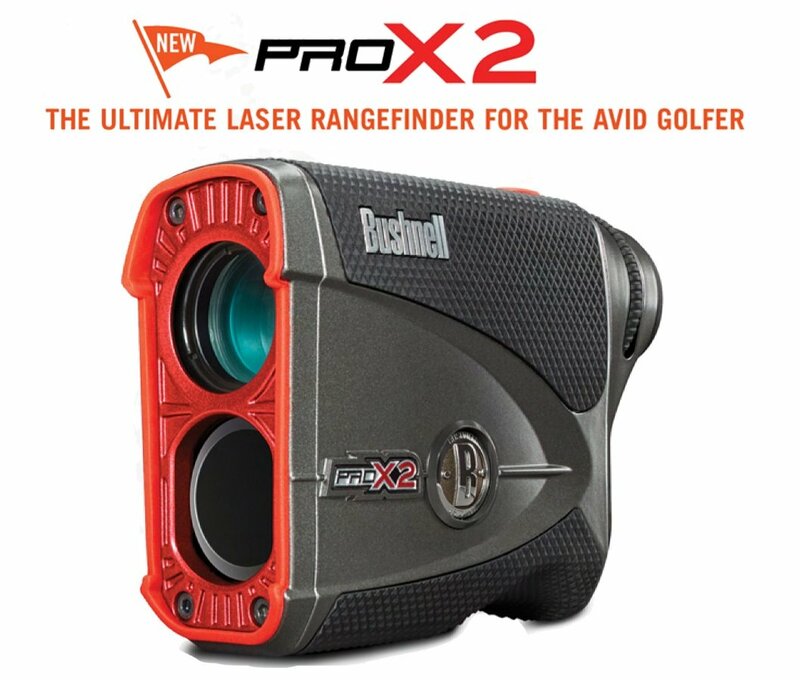 Avid golfers will be pleased to learn that this compact rangefinder is not only a great companion for your favorite courses, but also completely legal for tournament play. Of course, this wouldn’t mean anything if the rangefinder wasn’t actually good at what it does, but Bushnell has a reputation for quality products and this one does not disappoint. Read on to find out what we discovered when testing out this rangefinder. When lugging around all your golfing gear the last thing you want is something else weighing you down, so the compact and light design of the Tour V3 Jolt is a definite plus. Bushnell touts it as the easiest to grip laser rangefinder on the planet, which might be a slight over exaggeration, but there’s no denying that its design is quite comfortable. The ergonomic design of the V3 allows for easy operating using only one hand and overall the design is a step up from the already comfortable to hold Bushnell Tour V2. The overall design of the V3 is also a bit sleeker than the V2 and this is further enhanced by the more attractive color scheme employed by the V3. The Tour V3 is designed with simplicity and ease of use in mind, so you don’t have to mess around with unnecessary settings while out on the golf course. It is simply a matter of pointing the rangefinder at your target, pressing the button and then reading the distance. The rangefinder vibrates when the laser manages to lock on to the flag, so there is never any doubt about the accuracy of the readings. The rangefinder will display your last reading for up to 30 seconds, or until you take a new reading, depending on which comes first. The V3 uses a CR-2 3 volt Lithium battery to operate and thanks to the posi-thread battery door it is fairly easy to change batteries. Since the V3 sports a fairly decent battery life you won’t have to worry about doing so too often though. Take care when opening or closing the battery compartment though as the hinge feels rather flimsy. The V3 also has an adjustable eyepiece which is operated by rotating it until your target is in focus. It is easy to do and feels very intuitive. Unlike the more expensive Tour Z6 and Pro X7 offerings from Bushnell, the V3 is not waterproof, so while it will probably survive some light rain you will want to keep it away from moisture for the most part. Although the Bushnell Tour V3 Jolt features a range from five to 1000 yards, pinning the flag is accurate up to a range of about 300 yards. It boasts 5 X magnification and an objective of 24 mm. When operated in SCAN mode you can use the rangefinder to pan across the landscape while checking the LCD display for continuous updates. As the V3 is equipped with Pin Seeker Technology a small pin icon is displayed as soon as the rangefinder is able to lock on to the pin. The vibrating bursts triggered by the JOLT technology ensures that you instantly know when a lock is established. I doubt that the JOLT Technology is much of a battery drain, but this feature can be disabled if you wish to rely on the Pin Seeker Technology alone. To prevent background target such as trees interfering with your readings the LCD displays the closer of two objects when acquiring more than one object. As with most modern rangefinders the V3 is able to provide accurate readings in both meters and yards for extra convenience. The V3 is accurate within 1 yard and very fast which means it won’t slow down your game. A special mention should go to the new case which is included with the V3. It is a definite improvement over the magnetic closure of the case included with the V3 and offers a more reliable zipper and bungee closure. The V3 lacks the ability to compensate for up or downhill inclines when it comes to measuring distance, so if this is a deal breaker you will want to opt for the Bushnell Tour V3 Slope Edition instead. Just be aware that unlike the Standard Edition, the Slope model is not legal to use if you take part in tournament play. The Slope model also comes with a slightly heftier price tag. 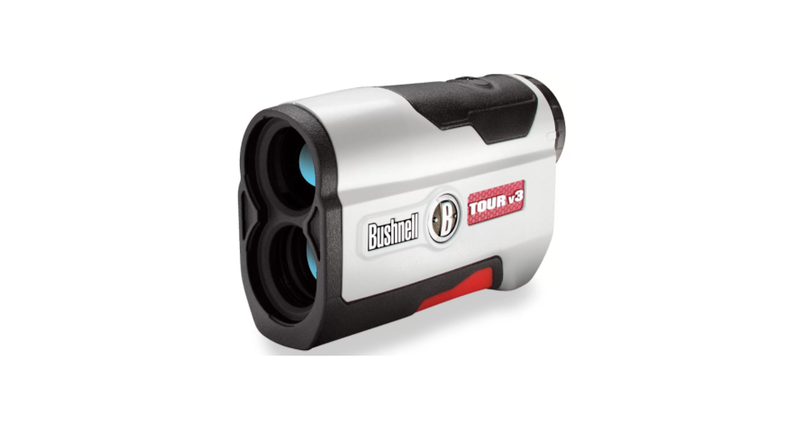 The Bushnell Tour V3 Jolt delivers pretty much everything you need when it comes to range finding out on a golf course and is able to do so at an affordable price. It is not a huge jump in terms of quality or features when compared to its predecessor the V2, but new buyers will certainly find a lot of value for money here. Lacks the Extreme Speed Precision 2 and Vivid Display Technology of more expensive Bushnell Rangefinder. The Tour V3 is a great rangefinder for the golf course thanks to its light weight, compact design, accuracy and ease of use. It offers value for money and will definitely provide an advantage out on course, especially for new players who want to improve their club selection and accuracy. It is not a huge step up from the Bushnell V2, but then again it didn’t have to be as the V2 was already a great product.